Ballyhoo FC is a club providing soccer playing opportunities for veteran players. Currently, we have an O45 league that plays on Tuesday nights. We are a non-profit organization. We are incorporated as "Capitol Classics Soccer Association - Ballyhoo Football Club". 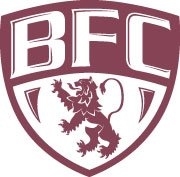 We mainly go by "BFC" for short. The club is affiliated through Washington State Adult Soccer Association (WSSA). Every player must have a WSASA card to participate. WSASA cards are $35 for unlimited play and are good for one year. This allows you to play in any WSASA affiliated league or tournament statewide. League fees are $60 to $75 per player. The two biggest determining factors in the league fee are the field costs, and the number of participants. This pays for 8 - 11 league games covering field and referee costs. The referees we use are certified USSF officials. A Football Club for veteran soccer players.